Forming in 2009, the duo of Brightmore and drummer Tom Fug quickly established a unique approach whereby drum-triggered electronics were manipulated to achieve a dynamic, rhythmically driven and flagrantly unclassifiable fury that flirted with both speaker-ripping psych-rock pyrotechnics and synapse-shredding acid house deliverance whilst stubbornly avoiding any of the trappings or clichés of either. Forging their own distinct geometric trajectory through two albums in 2011’s ‘Silent Cenotaph’ and 2014’s ‘Mirrors Fold’, their polyrhythmic sleight-of-hand proved itself as much a strength as their unique take on vocal processing -“current communication demands we fragment ourselves, our voices, through the prism of countless distinct media channels” notes Jussi. 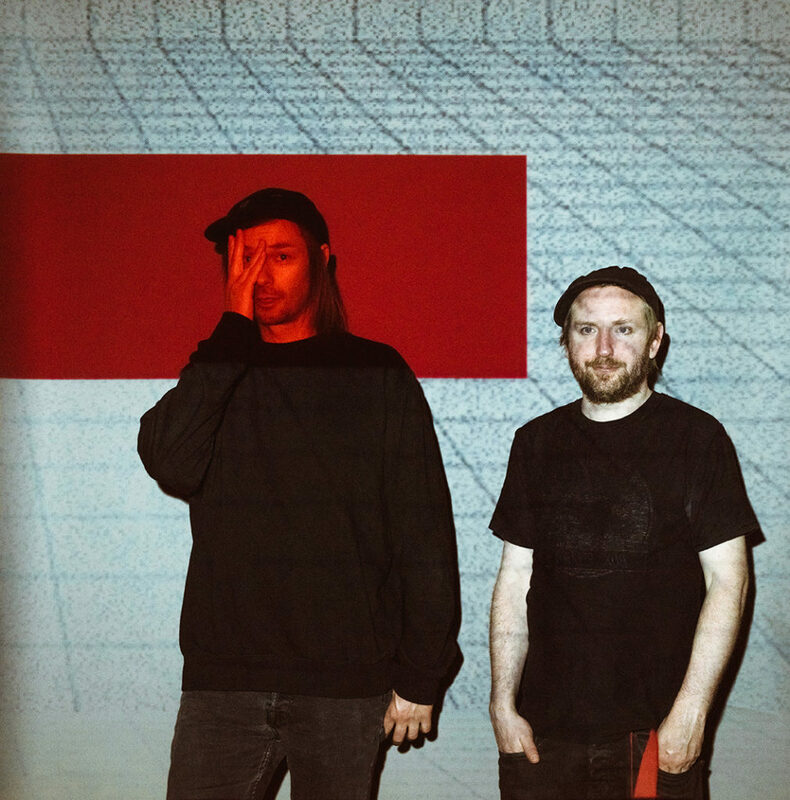 “I feel that our approach to voice reflects this” Thus, the band mapped out a landscape in which the influences of Coil, Warp Records, The Knife and Lightning Bolt were alchemically transformed into an innovative and pulverising onslaught. Thus, the appropriately claustrophobic and intense repetition of ‘No Walls, No AIr’ deals lyrically with London as an ‘entropic ouroboros’ – a city eating itself – whilst the doom-laden and cinematically monochrome ‘A Still Earth’ imagines a dystopian future devoid of humans and entirely populated by self-perpetuating industry. of machine-driven mania with its very human heart on its sleeve.